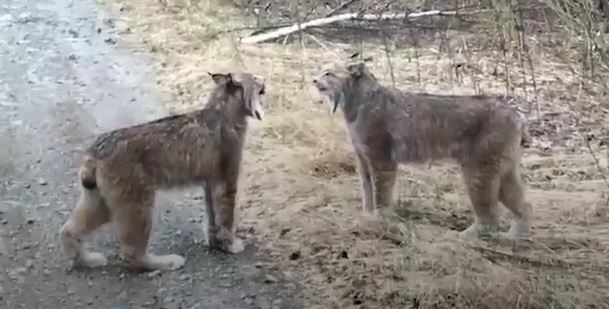 When a man, his girlfriend, and daughter traveled along a logging road in Ontario, Canada, they had no idea they would stumble upon a pair of lynx having a rather pointed, shall we say, conversation. Appears they were not at all bothered by the human voyeurs, but it does give one pause to wonder what the fray was all about. You Won’t Believe the Baby This Pigeon is Protecting!